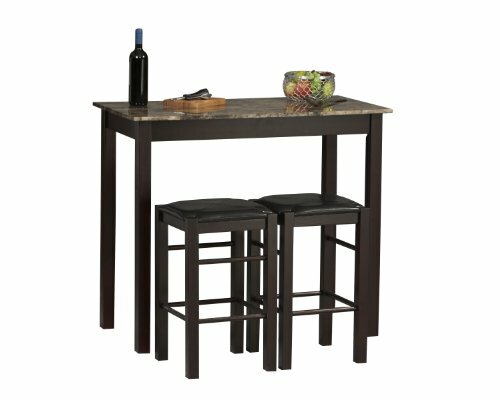 Tavern 3 Piece Counter Set with space saving convenience. This set features a simple rectangular table on long sturdy legs with two backless counter height stools with padded, black vinyl seat covers. Made from solid woods and a faux stone paper wrapped top. The rich Espresso finish gives this piece an elegant and sophisticated appeal. The stools tuck neatly under the table when not in use.